Army in north reported that 16 Taliban insurgents including two key commanders of the group were killed in Faryab province. 209 Shaheen Corps said in a report that, yesterday, as a result of the clashes between security forces and Taliban insurgents in Haidar Khana and Bori areas of Qaisar district of Faryab province, 16 Taliban militants including Mullah Arif and Mowlavi Ghiasuddin, known as Taraki, two key Taliban commanders in Qaisar district were killed and 15 others were injured. 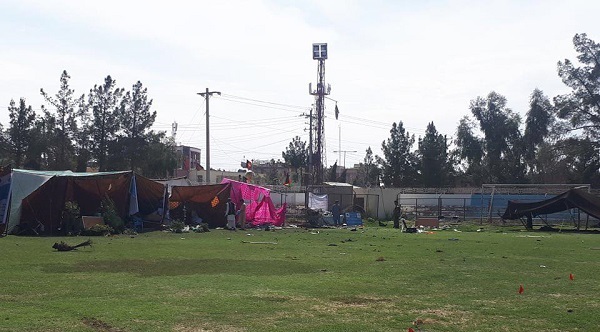 Press office of Helmand province said in a report that in two blasts in Karzai staduim in Lashkargah city of the province, three cilivains including the head of the economic affairs directorate of the province were killed. The report further stated that among the 30 wounded individuals of this incident, there were officials of Helmand province including Mohajidullah Safari the deputy governor for administration and finance, Hamidullah Yawar head of information and culture directorate, and Rafiullah Qalam deputy director of agriculture directorate. The governor of Helmand while condemning the attack assured that no harm was posed to him. Meanwhile, in a statement spokesman of Taliban insurgents claimed responsibility of this attack. 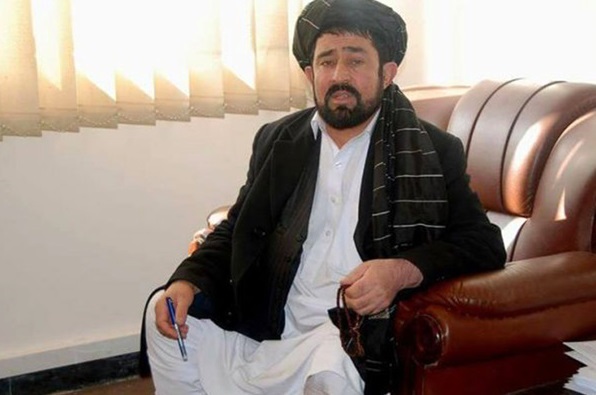 Obaidullah Barekzai, former lawmaker representing Uruzgan in Afghan parliament, was killed today in Kandahar. Aziz Ahmad Azizi, spokesman of Kandahar governor told Reporterly that Mr. Barekzai was killed in 6th district of Kandahar. There is no detail about this killing so far. Meanwhile no group has yet claimed responsibility of this assassination, but Taliban has already clarified its non-involvement in the attack. Obaidullah Barekzai was head of complaints committee of House of Representative for a long time. Security forces have reported that eight insurgents including two Pakistani citizens were killed in an operation of commando forces in Helmand province. 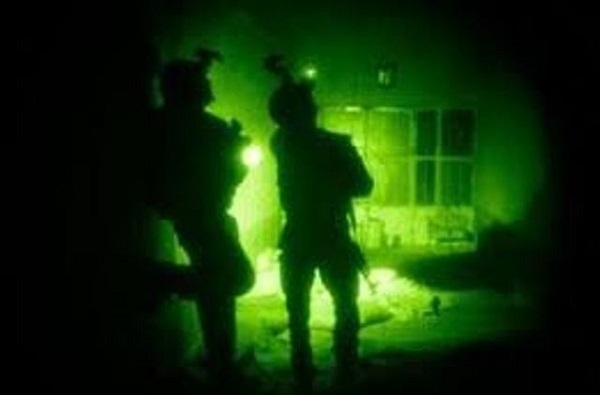 Abdul Qayyum Nuristani, head of press office of Special Operations Corps, said that as a result of the night operations of the Commando forces in Shahrak village of Musa Qala district of Helmand province 8 insurgents including 2 Pakistani citizens were killed and two other Pakistani terrorists were detained. At the same time, he emphasized that in this operation a training center of these insurgents along with 1 suicide vest, 2 motorcycle, 50 kilograms of explosives and 5 kilograms of opium were destroyed. Meanwhile, Ministry of Defense also said in a statement today that last night, Afghan National Army, National Directorate of Security and National Police launched a cleaning operation in Shakar Shela and Chawk Majid areas of Sangin district of Helmand province which caused heavy casualties to the terrorists. MoD further stated that there were casualties faced by security and defense forces, but did not provide details. 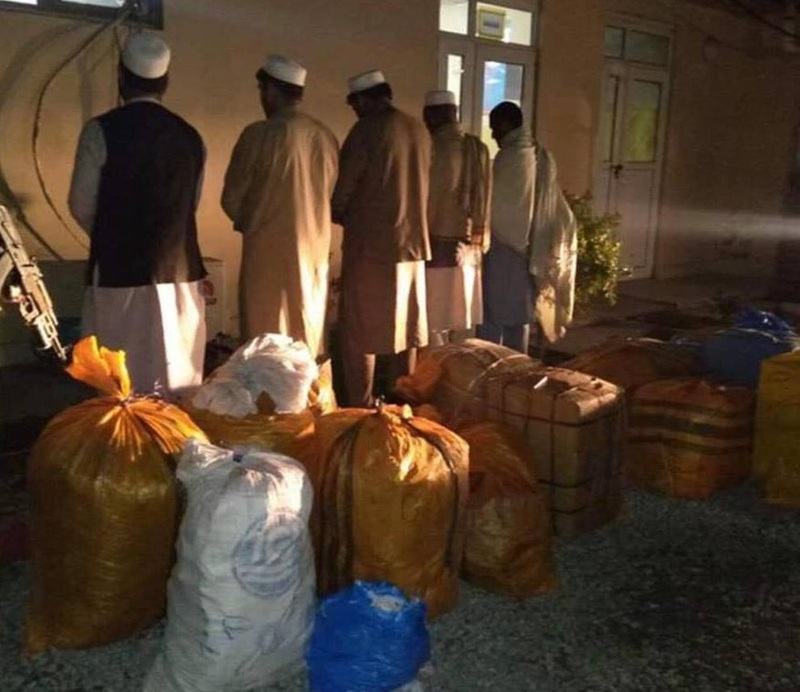 Security forces reported that 8 individuals were arrested in connection with drug-trafficking in Kabul and Laghman provinces. Ministry of interior said in a statement today that 8 suspected drug traffickers were identified and detained during four separate operations by the Counter Narcotics Police in Kabul, Baghlan and the Kabul and Gate Control Command. According to the Ministry of Interior more than 6 kilograms of narcotics were siezed by police from the detainees. The ministry further stated that personnel of International Police of MoI identified and arrested five people with 23 different non-quality cartons of medicine at Torkham Port yesterday. 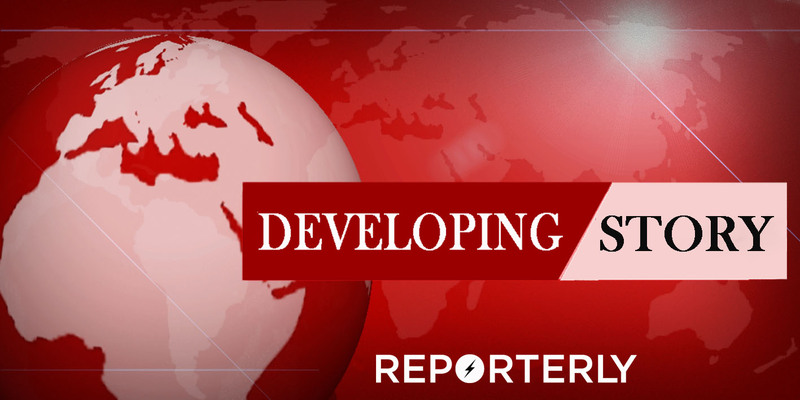 Nusrat Rahimi, the spokesperson for Ministry of Interior announced that the Lashkargah attack has killed and injured three and 31 people respectively. He also added that the explosion was a result of two mines placed at a stadium. A blast took place on Saturday at the Lashkargah stadium in Helmand in the middle of Farmer’s Day celebration. 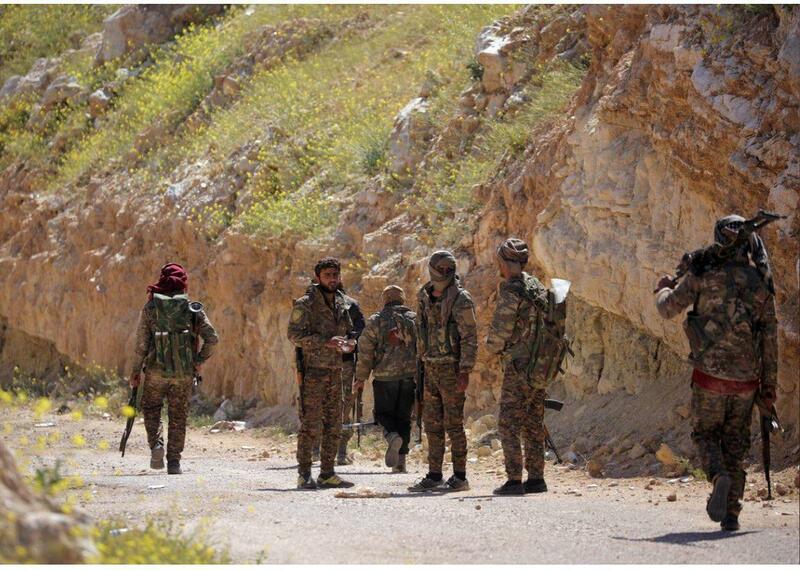 Islamic State has been defeated at its final shred of territory of Baghouz in Syria, the U.S.-backed Syrian Democratic Forces (SDF) said on Saturday, announcing the end of its self-declared “caliphate” that once spanned a third of Iraq and Syria. “We renew our pledge to continue the war and to pursue their remnants until their complete elimination,” Bali wrote. 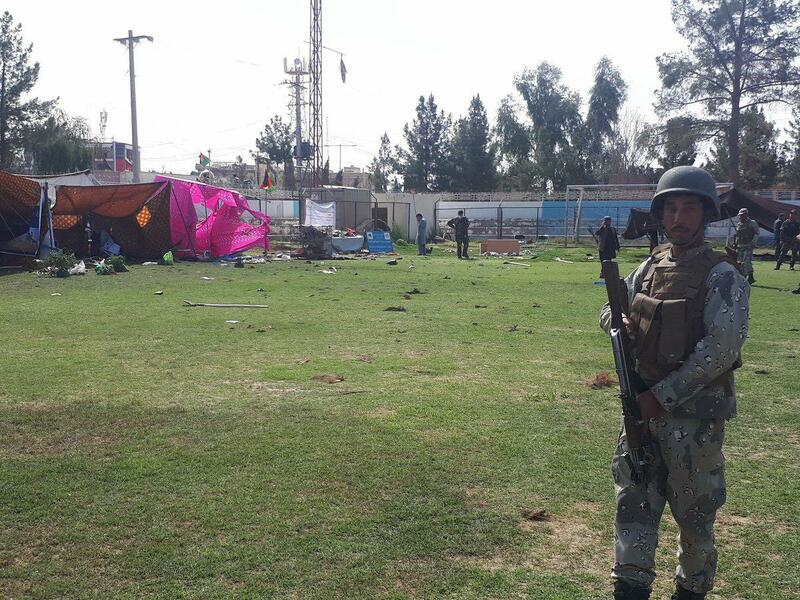 Omar Zhowak, the spokesperson for Helmand police chief told Reporterly that two people were killed 23 others wounded in the blast that took place in Lashkargah stadium.